Nordex AG is further improving its position as one of the leading project developers on the French market: Allianz Specialised Investments, part of the alternative asset investment activities of the Allianz Group, has purchased the wind farms “Barbes d´Or” (12.5 MW) and “Joyeuses” (10 MW), planned and erected by Nordex. The total projects are equipped with Nordex N90/2500 turbines with 100 metre hub heights and are located in central France near to Issoudun. In April this year Allianz already acquired the 12.5 MW “Les Cent Jalois” wind farm (12.5 MW) in the region of Aisne in northern France. This marked the start of the collaboration between Allianz and Nordex France. “We are pleased about this partnership. 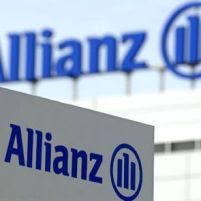 Allianz has now decided three times in favour of our N90/2500 technology, which has proved such an all-round success”, said Carsten Pedersen, COO Sales and marketing at Nordex. With 334 MW on grid, Nordex is one of the three largest project developers in France. Overall, today Nordex France has a portfolio of 1,000 MW in different stages of development. Private equity firm Global Environment Fund (GEF) announces the completion of an investment of $46.3 million in Greenko PLC, which is based in Hyderabad, India. Greenko is one of India’s largest independent power producers focused exclusively on renewable energy generation through the development, acquisition, construction, and operation of run-of-river hydro and biomass-fired plants. GEF is the only non-public investor and holds two seats on the Board of Directors of the company’s Mauritian subsidiary. Since its formation in 2006, Greenko has sought to be a premier clean energy player in India, with a diverse portfolio of scaled renewable energy assets. GEF’s investment will accelerate the company’s growth objectives as it addresses the massive shortfalls in power supply needs in India in the coming years. Honeywell (NYSE: HON) today announced it has been awarded an $11.4-million grant from the Department of Energy (DOE) as part of the largest single energy grid modernization investment in U.S. history. The grant, one of several awarded from a smart grid funding package under the American Recovery and Reinvestment Act (ARRA), solidifies Honeywell's position as a key player in helping the U.S. transition to a more efficient, reliable and secure electric system. "Honeywell has long been supportive of investing in our country's energy independence and these grants are essential to that end," said Roger Fradin, president and chief executive officer of Honeywell Automation and Control Solutions. "However, the hard part comes next -- rebuilding the energy infrastructure. Honeywell has the project management experience to help utilities successfully deploy their programs and forge a tighter link with customers. And we have the technology to help homeowners and businesses take control of their energy use and maximize the benefits of a smart grid." One of only four non-utility companies to receive funding, Honeywell will use the grant to support a critical peak pricing response program that will help commercial and industrial facilities in the Southern California Edison (SCE) service territory automatically implement energy management strategies to reduce costs and improve efficiency. The program will support nearly 700 customers as SCE and other California utilities move to critical peak pricing -- a program that offers rate discounts during the summer months to customers who can reduce or shift power during periods of peak electrical consumption. The new rate structure will see prices spike during periods of peak demand, approximately 10 to 15 days per year. SCE will send a notice prior to any increase and Honeywell will install technology that allows customers to automate load-shedding strategies that reduce energy use during these periods. Based on open automated demand response (OpenADR) standards and powered by Tridium's Niagara(AX) Framework® and JACE® controller, the system will receive the utility's signal, communicate with the facility's building automation system and make changes based on parameters the customer sets. This could include turning off banks of lights, cycling equipment on and off, or temporarily increasing temperature set points in the facility. In addition to installing the technology, Honeywell will provide customer outreach, education and engineering services, as well as ongoing support. "Honeywell's program integrates business customers with a smarter grid," said Larry Oliva, director, Tariff Programs and Services, Southern California Edison. "Our customers will have the ability to decide how they want to respond to pricing changes, and the subsequent reduction in energy use will help us provide affordable, clean power over the long term." Honeywell is also helping other organizations implement projects tied to the smart grid investment grants, including an advanced metering infrastructure (AMI) program for the city of Quincy, Fla. Honeywell will manage the installation of smart meters throughout the city and provide technology to automate commercial load-shedding strategies, similar to the SCE program. Honeywell also won ARRA grants for the research and development of technology that ties into the smart grid. For example, the company is testing solutions that will significantly reduce down time and failures for the growing fleet of wind turbines in the United States. Researchers are also developing a controls infrastructure for optimizing renewable energy micro-grids. The DOE funding, as well as Honeywell's involvement in other grants, reflects the company's expertise in smart grid services and technologies. Honeywell Utility Solutions, part of the Building Solutions business, has delivered demand response programs for almost 20 utilities in the United States and Canada. It specializes in all aspects of demand response from program design and load-control technology to customer recruitment and support. Discover how companies are finding innovative solutions to combat climate change and secure our energy future while increasing their bottom lines. WWF Climate Savers companies are leading by example, showing that economic growth, curbing carbon, and increasing shareholder value and can go hand in hand. Learn what they’re doing – and how they’re doing it – as well as their policy positions just weeks before governments gather in Copenhagen to discuss a new global climate framework. Energy Secretary Steven Chu announced that the Department of Energy is awarding more than $155 million in funding under the American Recovery and Reinvestment Act for 41 industrial energy efficiency projects across the country. These awards include funding for industrial combined heat and power systems, district energy systems for industrial facilities, and grants to support technical and financial assistance to local industry. The industrial sector uses more than 30 percent of U.S. energy and is responsible for nearly 30 percent of U.S. carbon emissions. Nine projects announced today will promote the use of combined heat and power, district energy systems, waste energy recovery systems, and energy efficiency initiatives in hospitals, utilities, and industrial sites. Combined Heat and Power and District Energy Systems generate both the heat and power needed for industrial processes on-site, instead of using electricity from the grid, and can be nearly twice as efficient as conventional heat and power production. These 9 awards – totaling approximately $150 million – will be leveraged with $634 million in private industry cost share for a total project value of up to $785 million. These industrial efficiency projects will result in almost 14 trillion Btu in estimated energy savings, which is equivalent to over 112 million gallons of gasoline per year. The remaining 32 awards will provide local technical support for the industrial sector through university-based Industrial Assessment Centers, state agencies, regional partnerships, and a national technical assistance provider. This funding will enable DOE’s Industrial Technologies Program to provide technical and financial support for local businesses and manufacturing facilities to save energy and reduce their energy costs, obtain financing to realize significant gains in efficiency and productivity, and save and create manufacturing and industrial sector jobs across the country. These 32 projects are an extension of DOE’s successful Save Energy Now initiative, which provides plant energy assessments and technical assistance to energy intensive industrial facilities. Since the program’s inception in 2006, more than 2,300 assessments have been completed. Over 1,500 industrial facilities implemented the identified energy measures, which have saved $218 million, 35 trillion Btu and 2.3 million metric tons of carbon dioxide each year. The projects announced today are selections for financial award. The final details for each project award are subject to final contract negotiations between DOE and the grantee. * Air Products and Chemicals, Inc.
GridPoint, Inc., an established leader in smart grid software, announced that it will provide storage management, renewable integration, and home energy management solutions for Sacramento Municipal Utility District’s (SMUD) smart grid solar project, the recipient of American Recovery and Reinvestment Act (ARRA) funding. GridPoint worked with the utility to draft the proposal, which is part of $117.6 million allocated by the U.S. Department of Energy (DOE) in support of high penetration solar deployment projects. SMUD’s project will evaluate how the integration of energy storage could enhance the value of distributed photovoltaic (PV) resources for the community, the utility and the grid by reducing peak loads, firming capacity and maximizing overall system efficiency. It will help build a strategy that can be replicated throughout SMUD’s service territory. The project will integrate energy storage into an existing PV environment, a residential solar community in Rancho Cordova, California, and test new consumer control concepts and PV inverter control within an advanced metering infrastructure (AMI) system. GridPoint’s software will monitor and control solar production and storage assets in real time, allowing SMUD to determine how to make them a predictable and more valuable energy resource. GridPoint’s software will be used to dispatch stored energy from advanced batteries to reduce peak demand, power or back up homes’ critical loads, charge the batteries, or export solar into SMUD’s distribution system. The integration of GridPoint’s software with SMUD’s AMI system will facilitate household load control via GridPoint’s home energy management portal, a critical element of the project. The portal will allow consumers to view household energy usage, PV production and output, and energy storage capacity, and also receive and respond to real-time pricing signals from SMUD to curtail usage during periods of peak demand. GridPoint’s capabilities will also enable the utility to evaluate whether capacity firming and advanced pricing signals influence consumer behavior. And it will allow SMUD to observe consumer preferences and interaction with the technology in order to provide innovative services and increase the effectiveness of energy conservation programs. 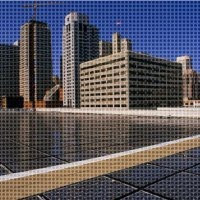 “We expect that both SMUD and our customers will benefit from GridPoint’s capabilities, which include providing flexibility to home owners in managing their energy use and balancing the load curve to improve overall reliability and efficiency,” said Jim Shetler, SMUD Assistant General Manager, Energy Supply. GridPoint’s software aggregates and manages an intelligent network of distributed energy resources that controls load, stores energy and produces power. Utilities efficiently balance supply and demand, improve grid reliability and empower consumers with user-friendly software to manage energy consumption. With GridPoint’s interoperable enterprise-class server technology, utilities rapidly integrate and manage emerging technologies, resulting in a practical path to developing a clean, efficient 21st century grid. GridPoint is working with utilities nationwide including Austin Energy, Duke Energy and Xcel Energy. The company was recently named to the Global Cleantech 100 and in 2008 was selected by the World Economic Forum as a Technology Pioneer. The following is statement from National Hydropower Association Executive Director Linda Church Ciocci regarding the U.S. Department of Energy's (DOE) announcement today that seven hydropower projects will receive $30.6 million in Recovery Act funding to spur clean-energy investment and job growth. "NHA applauds Secretary Steven Chu and Under Secretary Kristina Johnson on the commitment DOE is demonstrating to affordable, renewable energy and family-supporting job creation with today’s hydropower project funding announcement. Through public-private investments, DOE is helping to foster opportunities to develop the more than 60,000 megawatts of clean, domestic generating capacity and 700,000 jobs experts believe the U.S. hydropower industry can create by 2025. "All of the hydropower projects Under Secretary Johnson announced for funding today during her appearance at NHA member Voith Hydro's manufacturing plant in York, Pennsylvania, involve enhancing existing facilities to make them more productive, while improving their environmental footprints. In a report NHA released last month, we identified opportunities to create nearly 9,000 megawatts of new capacity through similar upgrades by 2025. “We also welcomed Under Secretary Johnson’s comments about DOE’s commitment to doubling hydropower resources, through efforts like this. NHA believes that initiatives like this will propel our industry toward President Obama's goal of building a clean-energy economy that includes hydropower. "Just as our predecessors helped lift the country out of the Great Depression by creating jobs and building hydroelectric facilities to power new commerce, today's hydropower industry will serve our 21st-century demands for affordable, clean energy, strong environmental performance, and economic benefits from job creation and investment. Speaking at Florida Power and Light’s (FPL) DeSoto Next Generation Solar Energy Center, President Barack Obama today announced the largest single energy grid modernization investment in U.S. history, funding a broad range of technologies that will spur the nation’s transition to a smarter, stronger, more efficient and reliable electric system. The end result will promote energy-saving choices for consumers, increase efficiency, and foster the growth of renewable energy sources like wind and solar. The $3.4 billion in grant awards are part of the American Reinvestment and Recovery Act, and will be matched by industry funding for a total public-private investment worth over $8 billion. Applicants state that the projects will create tens of thousands of jobs, and consumers in 49 states will benefit from these investments in a stronger, more reliable grid. Full listings of the grant awards by category and state are available HERE and HERE. A map of the awards is available HERE. An analysis by the Electric Power Research Institute estimates that the implementation of smart grid technologies could reduce electricity use by more than 4 percent by 2030. That would mean a savings of $20.4 billion for businesses and consumers around the country, and $1.6 billion for Florida alone -- or $56 in utility savings for every man, woman and child in Florida. One-hundred private companies, utilities, manufacturers, cities and other partners received the Smart Grid Investment Grant awards today, including FPL, which will use its $200 million in funding to install over 2.5 million smart meters and other technologies that will cut energy costs for its customers. In the coming days, Cabinet Members and Administration officials will fan out to awardee sites across the country to discuss how this investment will create jobs, improve the reliability and efficiency of the electrical grid, and help bring clean energy sources from high-production states to those with less renewable generating capacity. The awards announced today represent the largest group of Recovery Act awards ever made in a single day and the largest batch of Recovery Act clean energy grant awards to-date. 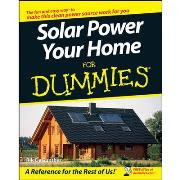 Go solar with "Solar Power your Home for Dummies"
Featuring ten of the easiest and cheapest do-it-yourself solar projects, "Solar Power For Dummies" is the fun and easy way to meet your energy needs with this clean power source. 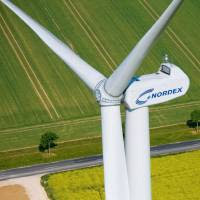 Nordex’s Turkish business is con-tinuing to gain momentum: After the award of a contract for 115 MW last summer, finance has now also been obtained for the next project. Accordingly, Nordex will be supplying the power station operator Bilgin Enerji with 36 N90/2500 turbines for the “Soma” project as of January. With a total volume of 90 MW, Bilgin will be calling this package down under the 210 MW master contract signed in spring 2008 in line with plans. The Turkish company has additionally also booked a premium service package. Nordex will be assembling the “Soma” wind farm in the province of Manisa in western Turkey. The 36 turbines will be distributed over a large mountainous terrain. With a combined notional annual yield of over 300 gigawatt/hours they will be able to supply more than 150,000 Turkish households with electricity, simultaneously saving emissions of around 300,000 tons of carbon dioxide. “Soma” is the third firm contract received from Bilgin. At the begin-ning of September, the “Mazi III” wind farm (22.5 MW) went on line and Nordex is already commencing the delivery of 36 turbines for “Bergama” (90 MW), the first project under the master contract. “Bergama” and “Soma” figure amongst the two largest wind power projects in Turkey to date. “Today, with the signature of the firm contract for the `Soma´ wind farm with Nordex, we have strength-ened our leading position as an investor in the Turkish renewable energy sector”, says Tolga Bilgin, Vice President of Bilgin Energy. With contracts for a total of 300 MW, Nordex is one of the leading wind power companies in Turkey. “We have our fingers directly on the pulse of the market via our branch in Istanbul, which we estab-lished in April. This is proving to be a strategic advantage for us as Turkey has plans to extend its wind power capacity substantially. With new licenses about to be awarded, we are already in talks with potential customers,” says Carsten Pedersen, COO Sales and Marketing at Nordex. MEMC Electronic Materials, Inc. (NYSE: WFR), a leading provider of silicon wafers to the semiconductor and solar industries, has reached a definitive agreement to acquire privately held SunEdison LLC, a developer of solar power projects and North America's largest solar energy services provider. The acquisition is expected to close by the end of 2009, subject to customary closing conditions and receipt of regulatory approvals. The agreement calls for $200 million to be paid at closing to SunEdison security holders, which will be paid 70% in cash and 30% in MEMC stock. The agreement also includes an earn-out provision, should SunEdison meet certain performance targets in 2010, of up to an additional $89 million, consisting of cash and stock. In addition, the agreement calls for employee retention payments of $17 million in cash at closing, plus up to $34 million in stock which is subject to SunEdison meeting certain performance criteria and time vesting, the payment of certain transaction expenses and the assumption of net debt. "This acquisition will provide a third engine of growth for MEMC," said Ahmad Chatila, Chief Executive Officer of MEMC. "MEMC will now participate in the actual development of solar power plants and commercialization of clean energy, in addition to supplying the solar and semiconductor industries with our traditional silicon wafer products." "SunEdison has successfully built about 300 solar power plants representing approximately 80 MW of generating capacity on the rooftops and grounds of customers in the United States, Canada and Europe," said Carlos Domenech, Chief Operating Officer of SunEdison. "Our business is highly scalable and will be able to grow substantially, capitalizing on our more than 1.5 GW of pipeline, backlog and leads with a financially strong, technically sophisticated partner like MEMC, which also has a competitive cost structure in upstream materials. This combination will greatly accelerate our goal of making solar energy cost competitive with grid prices." 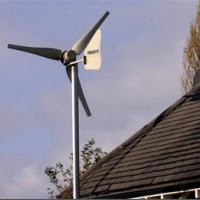 Wind Turbine at Home ? Test the wind speed with your iPhone ! Mariah Power and digital design firm, Create with Context, are launching the Windspire me! app for the iPhone. The new app will let you measure the wind speed with your iPhone and tell you what you can power with a Windspire or how much CO2 you can save from the environment. To get on the notification list when the free app is available in the iTunes store please click here. "The Borrower’s Guide to Financing Solar Energy Systems: A Federal Overview", released by the DoE, provides information that can assist both lenders and consumers in financing solar energy systems, which include both solar electric (photovoltaic) and solar thermal systems. This guide also includes information about other ways to make solar energy systems more affordable, as well as descriptions of special mortgage programs for energy-efficient homes. Although the sun’s energy is free, special equipment is needed to convert it to electricity or heat for a building. The up-front costs of this equipment can be daunting to consumers and a barrier to new purchases. Therefore, this guide was prepared to show how today’s solar energy systems can be affordably financed. The Ocean Power conference takes place in Lisbon, Portugal, in just 10 days. With over 100 ocean energy experts set to attend, including 30 project and device developers, this event will provide an excellent networking platform for participants to address future business strategies in this expanding market. 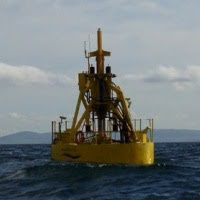 Ocean energy technologies are still in their infancy in comparison to other alternative energy sources, yet the market potential is huge and the rate of development is rapidly increasing. The past two years have been particularly exciting in terms of industry development, with the implementation of encouraging demonstration projects and the first commercial projects are now underway. * 47% of leading private companies are working to improve energy efficiency and reduce waste in their organizations. * Most common efforts include introducing recycling programs, reducing energy usage, and exploring new energy-efficient technologies and equipment. * Primary goals are to operate more efficiently, reduce costs, and ensure long-term corporate growth. 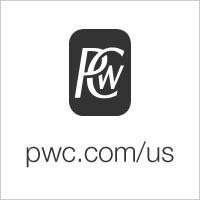 As the economy begins to show signs of recovery, 47 percent of CEOs interviewed for PricewaterhouseCoopers’ Private Company Trendsetter Barometer survey are focusing their attention on addressing improvements in energy efficiency and reducing waste throughout their organizations, with 36 percent expecting a greater focus on sustainability over the next 12 to 18 months. Among these, larger private firms ($100 million or more in revenues) are more active in this area than are their smaller counterparts: among large firms, 46% are implementing energy efficiency and waste reduction programs and 13% were developing them; among smaller firms, 31% implementing and 10% developing. According to the survey, private companies are focused on recycling, energy audit and usage-reduction goals, and on exploring new energy-efficient technologies and innovative equipment for heating, cooling and lighting systems. Fifty-six percent of companies will be creating incentives for their employees to reduce usage of energy, paper and other materials, while relatively few companies are considering purchasing carbon credits. 46 percent of Trendsetter CEOs consider green practices or response to climate change important to the success of their businesses over the next 3-5 years. Focusing in on climate change, however, only 27 percent believe climate change will have a definite impact on their company’s profits over the next 3-5 years, while 66 percent see little or no profit impact. A minority (15 percent) have either measured the carbon footprint of their companies or plan to do so over the next 12-18 months (8 and 7 percent, respectively). Not surprisingly, larger private firms expect to be more proactive about their carbon footprint than smaller firms. Over the next 12 to 18 months, 36 percent of private company CEOs believe there will be a greater focus on sustainability within their businesses (36 percent), despite the fact that only 15 percent issue a sustainability report for their company presently (9 percent) or plan to issue one over the next 12 to 18 months (6 percent). 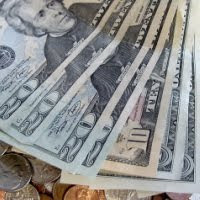 While a majority of CEOs (67 percent) reported the current economic climate has not impacted their companies’ level of planned investment to reduce its environmental impact, only 15 percent believe there has been some definite (6 percent) or probable impact (9 percent). Not surprisingly, the 36 percent of private businesses that expect greater company focus on sustainability in the near future are larger businesses, averaging $231 million in enterprise revenue. 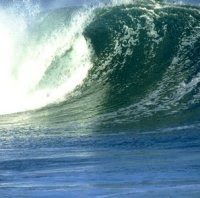 Vattenfall has selected Ireland to develop commercial scale ocean wave energy electricity generation. A joint venture, Tonn Energy, has been formed between Vattenfall and Wavebob, an Irish wave farm development firm, to carry out this programme of work. (Tonn means wave in Irish.) The Irish Government, through its Investment and Development Agency, IDA Ireland, is supporting the investment. 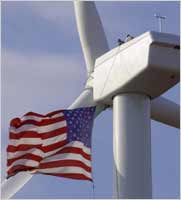 The American Wind Energy Association (AWEA) reported today in its third quarter (Q3) market report that the U.S. wind energy industry installed 1,649 megawatts (MW) of new power generating capacity in the third quarter—an amount higher than either the 2nd quarter of 2009 or the 3rd quarter of 2008—bringing the total capacity added this year to date to over 5,800 MW. AWEA also reported that wind turbine manufacturing still lags below 2008 levels, in both production and new announcements. "Wind power installations are up, and that is good news for America's economy, environment, and energy security," said AWEA CEO Denise Bode. "But manufacturing, which has the potential to employ many more Americans in good, clean energy jobs, remains uncertain. A firm, long-term national commitment to renewable energy is still needed for the U.S. to become a wind turbine manufacturing powerhouse and create hundreds of thousands of jobs." Since the early July announcement of rules to implement the stimulus bill, the wind industry has seen over 1,600 MW (enough to serve the equivalent of 480,000 average households) of completed projects, and over 1,700 MW of construction starts. These projects equate to about $6.5 billion in new investment. AWEA does not expect the fourth quarter of 2009 to be as strong as the fourth quarter of 2008 since the 5,000 MW now under construction is nearly 38% lower than the over 8,000 MW under construction at this time last year. The total wind power capacity now operating in the U.S. is over 31,000 MW, generating enough electricity to power the equivalent of nearly 9 million homes, avoiding the emissions of 57 million tons of carbon annually and reducing expected carbon emissions from the electricity sector by 2.5%. The state posting the fastest growth rate in the third quarter was Arizona, which installed its first utility-scale project. Pennsylvania ranked 2nd in growth with 29%, followed by Illinois with 22%, Wyoming with 21%, and New Mexico with 20%. AWEA will hold a webcast to present and discuss the findings of the Q3 market report on Wednesday, October 21, at 12:00pm EST. To register for the webcast go to www1.gotomeeting.com/register/727161720. The full Q3 market report is available on the AWEA website at www.awea.org/publications/reports/3Q09.pdf. 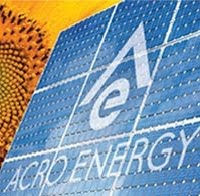 Acro Energy Technologies Corp. (TSX Venture: ART) now offers California customers a solar power purchase agreement through a new strategic alliance with SunRun, the nation`s leading home solar service company. As part of the companies` agreement, Acro Energy and SunRun will offer solar electricity service agreements to residential customers and Acro Energy will sell solar electricity facilities to SunRun as a preferred solar systems integrator. With SunRun`s unique solar power purchase agreements, homeowners pay a small one-time system installation fee and then a low monthly bill to have solar energy power their homes. The one-time system installation fee is a fraction of the normal upfront cost of installing a home solar system. SunRun`s power purchase agreements provide Acro Energy customers with monitoring, repairs, insurance and a performance guarantee for solar systems, offering homeowners additional simplicity and peace of mind when switching to solar power. "The ability of homeowners to finance solar electricity systems is the single biggest hurdle for the solar integration market. Offering SunRun to our customers is a competitive advantage for Acro Energy," said Nat Kreamer, Interim President of Acro Energy. "It should help us convert a significant number of currently contracted customers, who want an affordable solar financing option, into revenue." "Our relationship with Acro Energy will allow SunRun to bring affordable solar to even more homeowners in California," said SunRun President Lynn Jurich. "Together, we look forward to growing the number of homeowners who are getting clean energy and saving money." Despite budget-breaking investment losses and widely fluctuating energy costs, many schools became greener during the last year, earning higher grades on the College Sustainability Report Card 2010. Released on the new GreenReportCard.org website by the Sustainable Endowments Institute, a special project of Rockefeller Philanthropy Advisors, the annual publication provides school profiles and grades along with exclusive insights about sustainability in higher education. The profiled schools have combined holdings of more than $325 billion—approximately 95 percent of all higher education endowment assets. Widespread investment declines have impacted almost all schools, with the Report Card finding average endowment value dropping by 23 percent in the past year. With red ink dominating school budgets, did green expenditures get axed? To promote shared learning in the down economy, the Sustainable Endowments Institute’s in-depth research on 332 colleges is now available at a new online portal. For the first time, the Institute is offering universal access to 1,100 sustainability survey responses about campus, dining and student initiatives, as well as endowment investment. Access to endowment information is intended to foster constructive dialogue about investment in clean energy and in community development, as well as about sustainability considerations in shareholder voting. More than 95 percent of participating institutions agreed to share the inner workings of their green practices, resulting in over 10,000 pages of detailed data and descriptions. Overall, the College Sustainability Report Card has the highest response rate of any college sustainability ranking or rating. Sixty-eight percent of 12,715 high school students applying to college, who were recently polled by the Princeton Review, said that they would value having information about a college’s commitment to the environment. To help students search, the Report Card website offers comparison of up to 10 schools at a time. Students can also explore schools by geographic region on the interactive map. This feature enables users to click on a college in a particular area to see all grades listed by category and to link directly to that school’s full profile. Other popular searches include listings of schools by athletic league, environmental studies majors, sustainability jobs on campus, renewable energy use and dozens of other options. Grading the schools entailed researching publicly available information, conducting surveys of appropriate school officials, and assessing performance with 120 questions across 48 indicators in the following 9 categories: Administration, Climate Change & Energy, Food & Recycling, Green Building, Transportation, Student Involvement, Endowment Transparency, Shareholder Engagement and Investment Priorities. The 5th annual Bioneers by the Bay conference is coming up this Thursday, October 22nd - Sunday 25th. Bioneers by the Bay: Connecting for Change is an internationally acclaimed annual gathering of environmental, industry and social justice innovators who have demonstrated visionary and practical models for restoring the Earth and its inhabitants. Join Bioneers by the Bay for three days of live keynote presentations, afternoon workshops, an exhibition hall featuring sustainable businesses and organizations, a community action center, films, music, art installations, a farmers’ market and local & organic food and MORE! 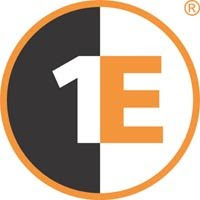 1E, a leading provider of software and services which reduce organizations' IT costs and environmental footprint, today announced the results of an independent global study of server managers. The study, conducted by Kelton Research, commissioned in association with the Alliance to Save Energy, revealed that the world's largest IT departments have millions of servers that are not doing anything useful. “Contrary to popular belief, one of the largest causes of energy and IT operational waste in data centers are servers that are simply not being used. The savings from decommissioning non-productive servers cannot be ignored. Organisations need better information on server efficiency and more effective ongoing server energy management.” comments Sumir Karayi, CEO, 1E. “With U.S. data center energy consumption at an all time high, it's only logical that we reconsider how we are using IT resources. An unnecessary amount of data servers are „plugged in' 24/7 in an age when power-saving tools are available to businesses. Faced with a fast-moving regulatory environment - including the U.S. climate bill, pending EPA data center initiatives and the upcoming climate talks in Copenhagen - the U.S. IT sector may soon be under greater scrutiny for its power consumption. We'll want to say ahead of the curve and make smart, energy-efficient changes where we can,” says Kateri Callahan, president of the Alliance to Save Energy.The study of global server managers was conducted by Kelton Research in September 2009. Siemens AG is to acquire the solar thermal power company Solel Solar Systems Ltd. To date, the majority stake has been held by Ecofin Ltd., a London-based investment firm, and another major shareholder. “After the rapid and highly successful expansion of our wind power business, we now want to continue this success story in the solar sector. With the acquisition of Solel, Siemens can now strengthen its market position in the promising business of solar thermal power plants. We can thus further expand our extensive Environmental Portfolio – and, as already announced, we will become even greener,” said Siemens President and CEO Peter Löscher. Solel Solar Systems has a workforce of over 500 and is one of the world´s two leading suppliers of solar receivers, which are key components of so-called parabolic trough power plants. The high-growth company, which posted revenue totaling almost $90 million in the first six months of its current fiscal year (January 1 to June 30, 2009), is also a leader in the planning and construction of solar fields. The purchase price is about $418 million (currently equivalent to around €284 million1). The transaction is subject to approval by the responsible authorities. It is anticipated that the closing will take place before the end of this calendar year. Solel is a successful company in the future-oriented solar power sector, with decades of experience in the development and manufacture of solar field equipment and the planning and construction of solar fields. Since 2006, Solel has also been present on the Spanish market, supplying key components for 15 solar thermal power plants with a combined capacity of 750 megawatts. In addition, the company is also active on the important U.S. market. OpenStudio, a new quick, easy to use and free software tool created by NREL developers seamlessly combines the building energy simulation of EnergyPlus with the popular drawing interface of Google's SketchUp. Gone is the tedious and time-consuming task of manually entering building geometry data. Now users can quickly sketch a computerized 3-D drawing of a building and run a fast simulation during the early design phase to determine if their design is energy efficient. Taking a virtual X-ray of a building's energy use in the conceptual phase helps architects design a structure with fewer carbon emissions, lower utility bills and a healthier environment. The OpenStudio plug-in is bridging the gap between energy modeling and the building design process. Nick Long, a NREL engineer who helps develop OpenStudio, says the software is a critical piece to getting energy simulation into the early design phase of building construction. "Integrating energy analysis into that phase is very important because you can start to reduce energy use well before a building is even in conceptual design," he said. Because of the simplicity of OpenStudio and the quickness of the SketchUp models, architects can easily use this tool during the launch of a building project. "Our hope is that by using OpenStudio in design charrettes, users can start throwing away designs at the very beginning of a project, saying: 'This is not a good design because we're going to use too much energy,'" Long said. Around the globe, architects and engineers are embracing OpenStudio. Users can download the software for free and see how easy it is to improve a building's energy consumption in a fraction of the time of more-expensive computer-aided design (CAD) packages. Approximately 700 copies of OpenStudio are downloaded each month. "It's been great," Long said. "Thousands of users of EnergyPlus are learning about OpenStudio and adopting it as the defacto geometry editor." Yello Strom, among Germany’s top 10 electricity companies, and Cisco today announced the launch of a ’smart grid’ pilot. Its aim is to create an intelligent energy system that allows customers to measure and control the power consumption of their electrical appliances, enabling them to reduce their monthly bills as well as carbon emissions, while significantly cutting down on peak-period demand. The smart grid pilot will also make more efficient use of renewable energy resources — including solar cells, and a combined heat and power plant — and reduce each local area’s reliance on reserve capacity. Cisco’s vision is for networking technology to provide a highly secure and intelligent end-to-end electrical infrastructure that helps enable the entire electrical system to be managed as a single integrated entity from generation to use in business and the home. Thanks to its inherent intelligence, such a network would be able to actively sense and respond to changes in power supply and demand, improving the security and reliability of energy delivery while optimizing operational costs. "Innovative communication technology is the core of the smart grid. Without it, the vision of an intelligent electricity supply would remain utopian" notes Michael Ganser, Cisco’s senior vice president for Germany, Austria, Switzerland, and the chairman of the board at Cisco Germany. "The control of electric current is very similar to the management of information flow, so smart grids operate on principles similar to those behind the Internet" explains Christian Feisst, industry lead for utilities within the Cisco Internet Solutions Business Group. "The exception is that electricity systems have a much greater number of nodes. This is where we are able to apply our expertise, integrating and processing crucial information that helps enable electricity consumption to be optimized"
Yello Strom specializes in optimizing electricity systems, enabling customers to use their electricity as efficiently as possible and, ultimately, to profit financially from new tariff deals. Says Martin Vesper, managing director of Yello Strom GmbH: "We are convinced that smart grid technology, based on IP, is the best solution for customers, effectively allowing them to become part of the intelligent network. This means they can control and optimize their own electricity usage and power generation via smart meters, with direct personal benefits"
Surveys have shown that such technology can reduce energy consumption by around 10 percent, while reductions of more than 15 percent can be achieved if electrical items (such as dishwashers or washing machines) are time-delayed. Over time, the resulting reduction in power consumption peaks is expected to help tackle the capacity shortfall predicted for the German electricity market. Reserve capacity could then be rolled back. Traditionally, this has been provided by gas- or oil-fired power stations. With a smart grid system in place, however, this reserve supply could be provided, at least in part, by consumers. The cost of the electricity system as a whole would then fall, with benefits for both energy providers and consumers. SolarCity® and Rabobank, N.A., announced a partnership to create the world’s first solar-power enhanced, fast-charge electric car charging corridor. When complete, the corridor will include four locations between San Francisco and Los Angeles (Salinas, Atascadero, Santa Maria and Goleta), allowing all-electric cars to make the trip using solar energy and provide for the fastest charge time available for public electric vehicle (EV) charges. 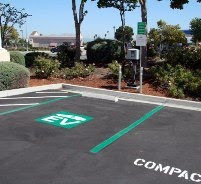 The SolarCity owned and operated corridor, built in cooperation with electric vehicle manufacturer Tesla Motors, will provide a full charge in one-third the amount of time of other charging stations. San Francisco and Los Angeles each support local infrastructure for EVs and many enterprising EV owners have successfully completed ambitious road trips throughout California and cross-country. Allowing drivers to plug in and charge up at multiple locations along well traveled corridors will dramatically increase the convenience and practicality of the growing number of EVs on American roads. Rabobank branches are positioned all along the high-traffic Highway 101 corridor, close to shops, restaurants and other commercial centers in Northern and Southern California, making them ideal locations for charging stations. “This charging station corridor demonstrates an important component of SolarCity’s vision for a carbon-free lifestyle. We’re combining clean, renewable solar power with all-electric transportation, allowing drivers to travel through California with zero emissions,” said SolarCity CEO Lyndon Rive. SolarCity has installed more than 100 solar home-charging stations for Tesla owners. The company has also assumed responsibility for a distribution contract for electric vehicle chargers for Toyota Tsusho as part its acquisition of SolSource Energy, announced last week. Rabobank, N.A., is a California community bank that provides personalized service and a full array of quality products to individuals, businesses and agricultural clients. The bank has completed a 30 kilowatt solar installation at its South Broadway branch in Santa Maria and is evaluating installing solar at additional locations. In addition to providing renewable energy to charge electric cars, the systems will offset electricity used by the locations. As part of the Rabobank Group, a global leader in sustainability-oriented banking, Rabobank, N.A., will offer local California customers and local shoppers convenient charging stations with clean, renewable energy. “We hope that this corridor of charging stations provides new travel opportunities for electric vehicle owners and gives further momentum to the renewable energy movement,” said Marco Krapels, co-chair of the bank’s Corporate Social Responsibility committee. The corridor would be the first interregional effort of its kind and would be the first to include solar power at a charging station. California is the first state in the United States to be aggressive about EV transportation. The Bay Area is home of Tesla Motors, makers of electric sports cars, among other EV manufacturers. State and local governments, electric utilities, the federal government and other entities are working together to support this infrastructure. Rabobank and SolarCity are taking the EV movement one step further by charging electric vehicles with power from the sun. This article is one of a series featuring the finalists for World Challenge 09 - a global competition seeking to identify and reward projects and businesses which bring economic, social and environmental benefits to local communities through grassroots solutions. World Challenge 09 is run by BBC World News and Newsweek, in association with Shell. An Indian energy venture benefiting African communities, The Barefoot Women Solar Engineers of Africa aims to improve the lives of people living away from an electricity supply in rural parts of Africa by giving them clean, renewable and low-cost sources of energy. The ‘barefoot approach’ demonstrates that illiterate women from remote African villages are capable of becoming solar engineers who can fabricate, install, maintain and repair residential solar lighting systems in their villages with six months of training at the Barefoot College in Tilonia, Rajasthan, India, where they are tutored by Indian women who also have low levels of literacy. What are the benefits for the community and environment? The project reduces the depletion of forests and use of kerosene and diesel, replacing fossil fuel sources with clean, sustainable, low-cost renewable energy. It provides light from a renewable source to households in remote off-grid areas at minimum expense, facilitating income-generating work and enabling children to read and study at night. Community solar energy committees have been established in each village that ensure community ownership of decision making, select women as solar engineer trainees and establish fees to be paid by community members on a monthly basis from savings made by avoiding purchase of fossil fuels. Fees cover a monthly stipend paid to the women solar engineers for carrying out repair and maintenance duties. How does the project measure its achievements? Since its initiation in 2005 up until January 2009, 81 women from 11 countries in Africa trained as Barefoot Solar Engineers at the Barefoot College in Tilonia. They have equipped the homes of 2000 families in 50 villages with solar electricity, installing 3000 fixed solar units and 1500 solar lanterns. Another group of 36 additional women from 7 new African countries are currently undertaking similar training at Barefoot College and are expected to return and complete installation of solar units in their villages before the end of 2009. World Challenge '09 - who will get your vote? It's up to the public to decide who wins this year's World Challenge competition. Online voting opens on 28 September and runs to 13 November. BBC World News is broadcasting six 30-minute programmes profiling each of the 12 World Challenge 09 finalists throughout October and November. Leading online solar provider Sungevity announced today that it has raised an additional $6 million led by Greener Capital, a new venture capital firm. Charles Finnie, managing partner in Greener Capital, said. "This is the best business model we have seen in the residential solar space. 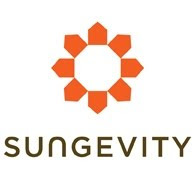 Sungevity's unique web-based direct selling model has enabled the potential for rapid deployment, great customer service and scalability at the lowest installed cost in the industry. We are excited to invest in Sungevity, as solar power becomes competitive with grid electricity across the US." to enter three new geographies by the end of the year. "We're very pleased to welcome such a remarkable group to Sungevity,"
over $60M in tax equity and launch a successful solar leasing program. Puget Sound, and an MBA in Finance from Indiana University. online available to millions of home-owners." Get a quote by going online to http://www.sungevity.com/ or by calling 877.257.8648. 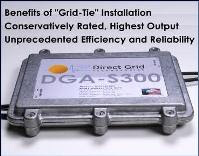 Island Technology announces the launch of its wholly-owned subsidiary, Direct Grid Technologies, LLC. The new company will manufacture leading-edge solar micro-inverters for residential and commercial photovoltaic (PV) applications. products and services. Direct Grid is a natural progression of Island Technology's heritage and today takes its expertise to the solar market for "direct grid" tied solutions…and thus the origin of the company name. increases micro-inverter reliability and efficiency. Frank Cooper, president of Direct Grid. shipments are expected in the fourth quarter 2009. This article is one of a series featuring finalists from World Challenge 09 - a global competition seeking to identify and reward projects and businesses which bring economic, social and environmental benefits to local communities through grassroots solutions. World Challenge 09 is run by BBC World News and Newsweek, in association with Shell. The BTTR Ventures project (pronounced better) was launched to transform an urban waste stream into a healthy food for local consumers and a job-creating enterprise. BTTR stands for ‘Back to the Roots’, a phrase that encompasses the idea sustainability, progress, and social responsibility. BTTR Ventures, founded by two business majors from the Haas School of Business at University of California, Berkeley aims to turn one of the largest waste streams in America – the tons of coffee ground waste generated daily – into a highly-demanded, nutritious, and valuable food product for local consumers: speciality mushrooms such as oyster and shiitake. This project has already launched in the San Francisco area, sold mushrooms to local campus food services at UC Berkeley and local chefs, established relationships with over a dozen local coffee stores, and partnered with Whole Foods, a large socially and environmentally conscious regional grocery chain, to distribute the mushrooms at 26 of their Bay Area stores. Beyond the unique approach of using waste to produce a valuable product, the group is focused on using this idea to change the way business is done. Not only will this initiative create a healthy food source, but it will also provide urban employment (10 ‘green-collar’ jobs within six months), prevent thousands of tons of valuable substrate from being dumped into landfills, and donate a substantial portion of its profit back into the communities from which the coffee ground waste originated. How does the project benefit the environment? BTTR Ventures aims to contribute to a cleaner environment to live in while simultaneously building a stronger community. From a global perspective, most mushrooms are currently grown on saw dust or oak chips that were created by cutting trees. By growing mushrooms from coffee grounds, the project reduces the need for deforestation. Furthermore, its own waste from the production of mushrooms (rich fungal compost) will be donated to urban gardening programs, adding a second production cycle to a substance that would have simply been sent to the landfill. By providing customers with locally produced food (through retail and restaurant distribution channels), this project will reduce urban centres’ carbon footprints due to the fact that food will now be arriving from no more than a few miles away. BTTR Ventures uses three unique and easily quantifiable metrics to measure its achievements. Firstly, it calculates the pounds of coffee grounds diverted from the landfills. Currently, the company is diverting nearly one ton of coffee waste per week (potentially a total of over 100,000 pounds over the next 12 months). Given that mushrooms leave the compost in which they grew rich in nutrients, BTTR Ventures donates that leftover ton of fungal compost to local urban farm programs. Secondly, the project will track its success by calculating how many pounds of its locally-grown mushrooms are provided to the surrounding community. BTTR Ventures is currently on track to produce over 700 pounds of mushrooms per week. This local food production program will further reduce the carbon footprint of urban centres by providing produce harvested within an average of five miles. Lastly, it measures the number of jobs created in an area suffering from double digit unemployment. 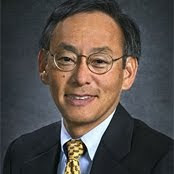 In his keynote speech to the GridWeek 2009 Conference this morning, U.S. Energy Secretary Steven Chu detailed his vision for implementing the smart grid and modernizing America's electrical system: a stronger, smarter, more efficient electricity infrastructure that will encourage growth in renewable energy sources, empower consumers to reduce their energy use, and lay the foundation for sustained, long-term economic expansion. smart grid workforce training programs. trade schools, and labor organizations. needed to implement the smart grid, and help ensure that the U.S.
electric utility requests that are expected under the Recovery Act. response equipment, and electric and hybrid-electric vehicles. Mootral came about as a result of a research collaboration with Aberystwyth University, led by Professor Jamie Newbold, looking at the effect of different plant extracts for reducing methane emissions in ruminants in an artificial rumen model. Neem Biotech's garlic extract was the most effective out of over 2000 plant extracts tested in vitro, reducing methane by 94 per cent. A further trial fed to sheep showed a 15 per cent reduction in methane. A business model has been developed under the brand name Mootral and aims to enable carbon emitters such as airlines to buy into the scheme by offsetting their emissions via carbon credits. Sufficient revenue would be generated to enable the feed additive to be offered free of charge to distributors and farmers who in turn would receive payments from the scheme from surplus revenue. How does the project benefit the community and environment? Mootral aims to make ruminant livestock production more energy efficient by reducing the amount of wasted energy in the form of methane into the atmosphere. This benefits the environment by reducing GHG emissions, a major contributor to climate change, being up to 72 times more potent than CO2. It is estimated that on average 20 per cent of global warming is caused by ruminant livestock emissions and a reduction of 15-25 per cent with optimum dose rates, would offer a significant reduction in global warming. What would the project do if it won World Challenge? Neem Biotech Ltd gained considerable success by coming second in the FT Climate Challenge Competition 2009 and aims to build on that achievement. The firm hopes to gather further efficacy data on its additive, looking at dose rates, timing of doses, longevity and the most efficient methods of delivery to the animal. Its goal is to generate this data for global registrations, starting with EU registration. You might be surprised at how many of the fattest conglomerates in the world claim to care about solar power and renewable energy. And given that most are oil, gas or bank firms, they all have some connection to the solar industry. The clear winner of the 2009 Forbes Global 2000 is General Electric, one of our oldest surviving corporate conglomerates. GE employs 323,000 people worldwide and has nearly $800 billion in assets, but its environmental record over that 100+ years is not as rosy as its ability to grow. GE is also in the top 5 polluters in the U.S. (based on year 2000 stats). Now that the green revolution is picking up speed, GE has jumped on the bandwagon. In 2005, they initiated the “Ecomagination” program to develop new energy and efficiency technologies, including solar energy. GE invested roughly $900 million in renewable energy alone, including the sale and manufacture of complete solar electric systems for the commercial, residential and utility sectors. Officially the largest oil and gas company in the world, Shell is the last of the corporate oil and gas giants on the list. It was also one of the most diversified of the group, but most attempts to integrate Shell’s energy portfolio have dissolved without long-term success. In 2006, Shell sold the entirety of its solar energy operations — roughly 80 megawatts’ worth — to German solar giant SolarWorld. Shell’s energy diversity at this point revolves around hydrogen, biofuels, carbon capture, compressed natural gas, and its original claims to fame: oil, gas and chemicals. Toyota’s got an obvious winner on the energy efficiency front: its hybrid Prius, complete with optional solar ventilation for the newest model. Toyota is the hands-down leader in fuel efficiency and sustainability in the mainstream auto industry. But rooftop solar panels on the Prius is not the extent of Toyota’s reach into renewable energy. In 2009, Toyota commissioned the world’s first solar-powered car carrier to transport its own cars, as well as its Lexus and Scion brands. The second-largest single-roof solar power installation in North America sits atop Toyota’s North American Parts Center in Ontario, California. 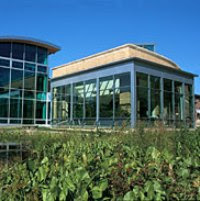 Several of Toyota’s buildings, including the first auto dealer in the nation to receive the honor, are LEED certified. The largest publicly traded international energy company in the world, ExxonMobil is also the least popular. Its contemporaries, BP, Shell, Chevron, et al, have all at least ostensibly embraced alternative energy sources, but ExxonMobil remains distant. The company does list climate change and energy efficiency as important “twin challenges of our time,” but appears not to be all motivated by them. They do point to ongoing opportunities to increase energy efficiency at their plants by 15-20 percent, but no long-term plans. Solar energy gets a shout-out as a potential long-term solution after 2030. BP is one of the Big Seven oil companies, but also a longtime leader in the solar industry. Its BP Solar arm has gained its own individual identity, manufacturing and installing solar panels around the world. BP Solar is not only one of the top solar manufacturers in the world, but also one of the top commercial users of solar energy. “The World’s Local Bank,” as it cleverly says on the website of the Hongkong and Shanghai Banking Corporation (based in Great Britain), HSBC has developed a policy for lending to socially and environmentally sensitive sectors to restrict or encourage investment in certain areas or to certain companies depending on the environmental characteristics of the situation. Tricky, I know. HSBC apparently has no direct involvement in the solar industry outside of possible financing agreements. AT&T is a household name in the United States and one of the largest telecommunications companies in the world. But any solar energy future for AT&T is still undetermined. In 2008, a 1-megawatt solar PV array was installed on a facility in San Ramon, California. That, plus an agreement to buy wind energy in Austin, Texas, constitutes the whole of AT&T’s foray into alternative energy. Chevron is a mixed bag. On the one hand, you have blatant environmental abuses, and on the other, Chevron Energy Solutions, which recently installed a 1.2-MW solar electric system in downtown Los Angeles. 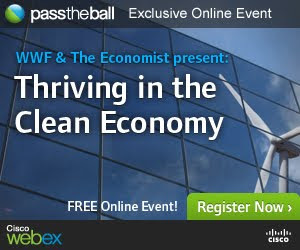 This is a company that was also named by Global Exchange as one of the 14 Worst Corporate Evildoers on the planet for environment and human rights abuses, but then again, Fast Company magazine named Chevron Energy Solutions (not its parent company, mind you) as one of the “Most Innovative Clean Energy Companies” in the world. Still, the vast proportion of Chevron’s revenue and profit comes through its oil and gas operations, and it’s hard to support such a paradoxical group. Banco Santander Central Hispano, a newcomer to the Forbes top 10, is nothing short of a banking cartel. In the last 10 years, Banco Santander has been swallowing up banks throughout Europe and is now the largest bank dealing in Euros. Last Spring, the bank created a venture capital firm with the sole purpose of investing in renewable energy. In 2006, Banco Santander signed a historic deal with BP Solar to build as many as 278 PV solar plants throughout Spain with a total capacity of up to 25 MW. No, it’s not the nutritious, delicious brand of cereal. Total is the fifth oil and gas company on the list. It formed in France and makes an avid commitment to new energy sources, including solar. So far, Total’s involvement in the solar industry has manifested through two partially owned subsidiaries: Tenesol (with EDF Group - #27), which designs, installs and maintains solar panels, and Photovoltech, a recent joint-venture with GDF SUEZ (#17) that manufactures high-performance PV solar cells. The Industrial and Commercial Bank of China is the largest in its country and one of China’s “Big Four” state-owned banks, including CCB-#23 and Bank of China-#30. In terms of market value, ICBC is the largest bank in the world. According to their website, in just the first half of 2009, the bank had already lent RMB 400 billion ($58.5 billion) to support what they call “environment protective industries,” including alternative energy development. Gazprom is what you might call corporate fallout from the end of the Cold War. When the Russian Ministry of Gas Industry turned itself into a corporation in 1989, Gazprom was born. Today, it’s the largest company in Russia and the second largest natural gas extractor in the world. Gazprom, of course, claims an environmental statement that includes careful extraction and transmission of its product, as well as at least ostentatious moves toward energy conservation, but has little to do with solar power. Like Jupiter, Gazprom is simply a gas giant. On the company website, oil conglomerate PetroChina boasts climate change awareness, having signed onto some key international agreements, such as the UN’s Global Compact, as well as helping to implement China’s National Climate Change Programme (always interesting to see leaders of the world’s most polluting industries working on climate change plans). But PetroChina has little to do with environmental responsibility. For example, they recently agreed to invest in harvesting oil sands in Canada. These sands are widely regarded as some of the dirtiest oil deposits on Earth, where there’s not a lot of oil to give, but certainly a whole lot of environmental risks. Volkswagen is in many ways a cult hero among international automakers. Its Beetle was (and is) ultimate predecessor to today’s compact car. Together with the company’s infamous road-tripping van, it has long provided Volkswagen with an air of “greenness.” Nowadays, when getting green is finally serious in the auto industry, Volkswagen is not so much about solar, as can be expected from an auto company, but rightly focuses more on fuel efficiency and alternative fuels. Drivers can expect to find the first in a new line of VW plug-in hybrids at their local VW dealership soon. The small van will have 12 on-board batteries to carry the car 62 miles on a single charge–not so hot–but a hydrogen fuel cell will also tag along to increase that range to roughly 220 miles, with the added help of roof-mounted solar panels. One of the world’s largest and most notorious financial institutions, JP Morgan Chase has been connected to the violence in Darfur, war profiteering in Iraq, South African apartheid, and business ethics violations, among other allegations. But when it comes to renewable energy, criticism for our nation’s second largest bank dissolves. In 2008, JP Morgan bought a British carbon offset company to increase investments in solar and renewable energy. The company has also made it more difficult for new coal projects to get financing and in 2005, adopted a “sustainability commitment,” which included integrating environmental and social responsibility into the bank’s credit analysis and decision process regarding potential lending. French utility company-turned-global conglomerate, GDF SUEZ and is now the second largest retail electricity provider in the United States. Along with Total (#11), GDF SUEZ shares subsidiary Photovoltech, a PV module maker in Belgium. Photovoltech is a relatively recent acquisition and marks GDF SUEZ’s first real step into the solar manufacturing sector, although they do own Iberdrola, which operates (or is waiting to build and operate) some solar power plants here in the U.S. and abroad. ENI is an “integrated energy company,” which, in this case, means an oil and gas company looking to improve its image and increase its appeal to today’s more green-minded stakeholders. As far as solar energy goes, in early 2008, ENI and the Massachusetts Institute of Technology (MIT) began a research partnership into advanced solar technologies - funding to the tune of $50 million over five years. Berkshire Hathaway is quite the conglomerate. Based in Omaha, Nebraska and founded by Warren Buffet, still partial owner and world’s second richest man, Berkshire Hathaway owns a slew of famous brands and companies ranging from retail products to the insurance industry, including GEICO, Fruit of the Loom, See’s Candies and more. Despite dozens of subsidiaries, Berkshire Hathaway has little apparent connection to the solar industry. One subsidiary and the nation’s largest homebuilder, Clayton Homes, however, has developed the i-House, allegedly the nation’s first affordable, green manufactured home to utilize solar energy design. Vodafone is a leading international telecommunications firm based in the United Kingdom. On a sustainability level, Vodafone plans to cut all company emissions 50 percent by 2020 based on 2006 levels. In terms of renewable energy, Vodafone is currently “exploring” potential solar and wind energy operations. Not stellar in the solar field, but does use solar power to provide energy to remote cell towers, delivering signals to its remote customers. There are also solar panels installed on Verizon’s central office in Tampa, Florida. EDF Group is partial owner of Tenesol, a leading producer of photovoltaic panels. EDF Energies Nouvelles (EDF EN), yet another half-owned subsidiary, has been active in all sectors of the solar industry for nearly 20 years. In 2008 EDF EN switched on France’s largest solar plant in the city of Narbonne. EDF EN has the ultimate goal of reaching 2000 MW of solar energy throughout Europe and North America. IBM cannot be ignored a mover and shaker in the United States, and last year IBM scientists reached a breakthrough in “concentrating photovoltaics” (CPV) by using a large lens to concentrate a record 230 watts of solar energy onto a one centimeter square solar cell, creating 70 watts of usable electricity in the process. Once a powerful force in the solar industry, Siemens Solar was sold to Royal Dutch Shell (#2) in 2002. Today Siemens does make steam turbines for use in solar thermal plants as well as photovoltaic inverters for use in electric systems. HP is certainly a corporate leader when it comes to sustainability, recycling and conservation. 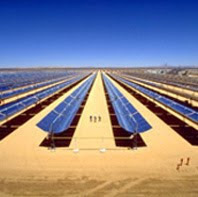 On the solar front, in 2007 HP hired SunPower to build and operate a solar PV array on HP’s San Diego facility. A similar deal in Ireland, this one involving wind power, will result in 90 percent of the company’s energy usage in that country will have renewable origins. Johnson & Johnson is the largest corporate user of on site solar power with over 3.5 megawatts of sunny energy collected at various sites under J&J ownership. ENEL is a large utility company that has at least one current solar distinction worth mentioning. In addition to a solar array on its headquarters in Italy, ENEL has inked a deal with Sharp to create 1 gigawatt of solar power per year. Samsung, a traditional microchip maker, is new to the mass production of solar cells but already has the noteworthy goal of topping the solar cell market by 2015. It’s not just a PGA golf championship, it is the German bank that is funding the Solar Impulse project to fly a solar plane around the world. The quintessential computer company has added a little solar power to Silicon Valley, in the form of a 480 kW solar PV system on the roof of one of its data centers. The move has helped the facility cope with regular summer blackouts in the region. This pharmaceuticals giant is no friend to those of us without health care and it brings up the end of the line in our abridged version of the Forbes Global 2000. Pfizer executives were recently forced to pay a record $2.3 billion in fines for fraudulent drug marketing (not the first time), but apparently they haven’t been completely lying about working to halt climate change. In 2007 Pfizer was one of 68 companies, and the only pharmaceutical company, to be named to the Climate Disclosure Leadership Index (CDLI), a non-profit coalition of global investors.